Research shows that students benefit when parents are positively engaged in schools. Parental involvement in schools can help students view school in a more positive light, boost student academic achievement, and build greater self-esteem and aspirations (Olsen & Miller, 2010). Greater communication between parents and educators leads to an improved understanding (for both parties) of how to best support students’ academic and personal needs. While Latino parents tend to be highly involved with their children’s lives outside of school, they often face linguistic and cultural barriers to their involvement in schools. When surveyed, Latino parents report that their own levels of education and knowledge of the English language often make them feel incapable of helping with their children’s schoolwork (Zarate, 2007, p.9). Language also poses an intimidating barrier to parent communication with teachers and administrators. Further, parents report that communication with their children’s schools is impersonal and infrequent, making them feel uncomfortable approaching schools with questions or concerns about their children’s education (Zarate, 2007, p. 10). In addition, Latino parents, particularly immigrants, cite work demands as barriers to their involvement in schools, as they often must work long hours or multiple jobs that prevent them from attending school events and meetings (Zarate, 2007, p. 10). Teachers and administrators often do not recognize the barriers that Latino parents face, and so they misinterpret their lack of involvement as neglect or disinterest. Because Latino parents feel both ill-equipped to handle the demands of their children’s schools and unwelcome at these schools, there exists a gap between home and school for Latino students. The Boston Public School (BPS) system has disproportionately high minority enrollment, and Latinos comprise the largest proportion of students in BPS (42%). Therefore, the experience of Latino students and their parents is central to the success of BPS. 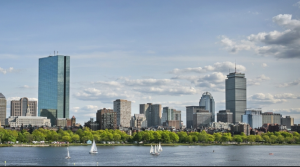 In Boston as a whole, however, Latinos do not account for as great a portion of the population. 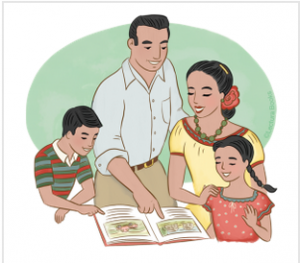 Latino parent voices are often underrepresented in school conversations, so schools tend to lack the cultural competency needed to serve their students, making grassroots efforts around this issue worth studying.